In another bowl, cream butter until light and fluffy. Add flour, baking powder 1 cup sugar, milk egg yolks and vanilla. Mix thoroughly until well blended. Fold flour mixture into beaten egg whites and blend through. Pour mixture into prepared pans and bake for 45 to 50 minutes or until lightly golden. Transfer to wire rack and let cool. In a mixing bowl whip cream and remaining ½ cup sugar until fluffy. Set aside. Remove cakes from pans. 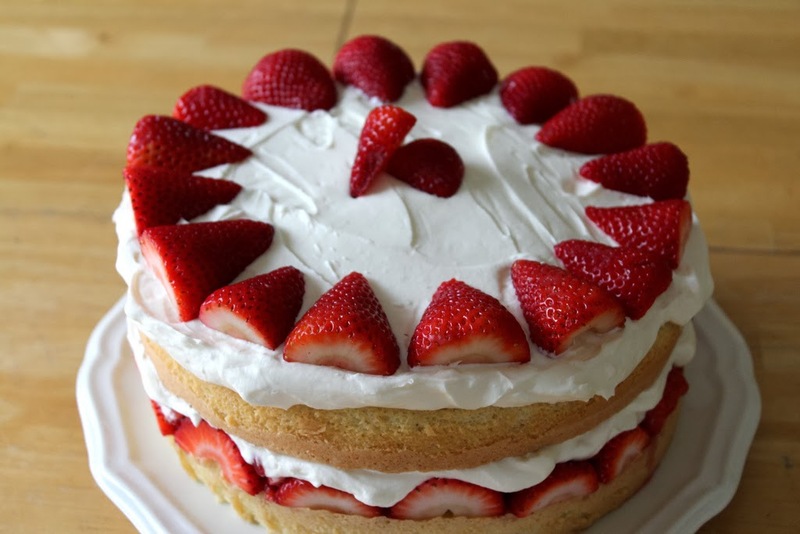 Place bottom layer on platter, spread some of the whipped cream and strawberries. Top with second layer, ending with the whipped cream. Garnish cake with remaining berries and decorate with remaining cream.